Do you like Crazy Monster Truck Smasher? Share it with your friends. 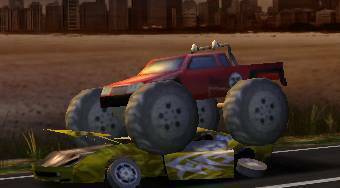 Crazy Monster Truck Smasher - drive a Monster Truck on the highway, destroy the other cars and try to go as far as possible.